Love this faucet, and after years of service, the cartridge failed and i was initially concerned. They replaced it in no time and I put it in and we're back in business! Thanks again Stephen! Actually, I thought I really wanted another Porsche sink fixture but the company has been sold a couple times and doesn't do faucets anymore, at least that I could find. So I turned to Lowes and found what I think is a perfect substitute. Bought a black and brushed nickel faucet- well built. 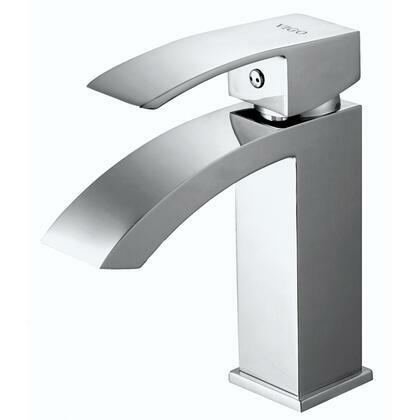 Faucet has been installed a month ago- well built faucet, looks great, good quality for the price. Had to remove the water restrictor, as our state does not have restrictions, to increase flow. 4 stars as it does not come with drain mechanism. Also needed to remove the piece that restricted water flow water for sufficient flow. I'd never heard of this brand before so I was reluctant to buy. 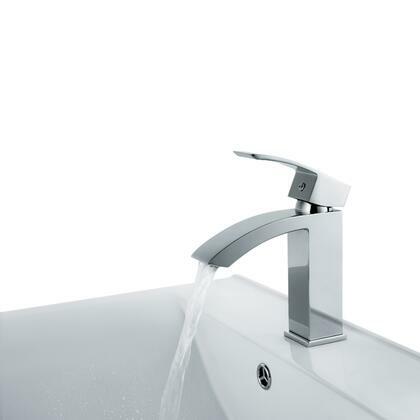 But I'm happy I did as the faucet looks classy and modern and seems to be of very good quality. Just bought this for our 'powder room' bathroom. Got it in chrome finish, which goes really well with our white porcelain sink. Looks really upscale and works well too. The flow is pretty strong, so I turned down the water pressure at the actual valves. We purchased Vigo faucets for our 2 bathrooms and couldn't be happier with them. They are stylish and very modern and love the waterfall affect when the water is turned on. I would pick these same faucets again if we needed them in another house. We purchased this faucet for our guest bath when we put in granite countertop. Bought for our bathroom remodel and used it with an IKEA sink. Gorgeous design and love the water flow. It doesn't splash all over the place. The Matte Black is perfect. Looks very expensive and the price is very reasonable.